The FlarmView 57 is an adaptation of the popular FlarmView - designed to fit in a 57mm instrument hole, with a Flarm splitter built in and an easy to access sd card slot. 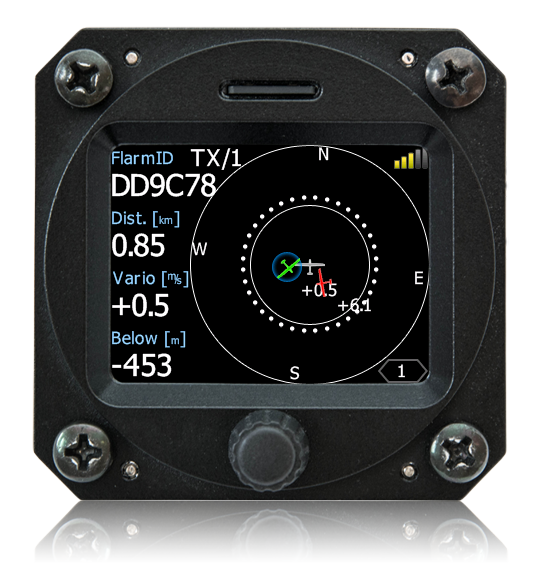 FlarmView 57 shows traffic information provided by FLARM or ADS-B devices. It supports the latest FLARM data port specification. 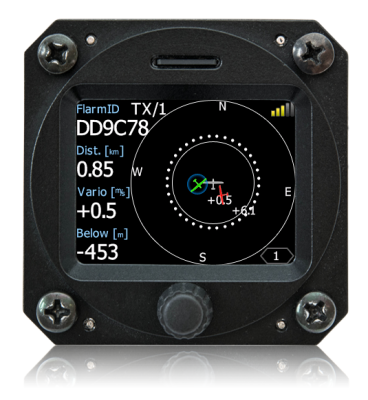 It also displays climb rate, altitude and distance for selected targets. It can also use the FLARMNET database for displaying target competition numbers. Four buttons enable easy operation even when wearing gloves.